Picture this: Teachers sharing insights and challenges. Principals leading with trust. Central office leaders inspiring and supporting principals. A synergistic learning system that results in all students succeeding. 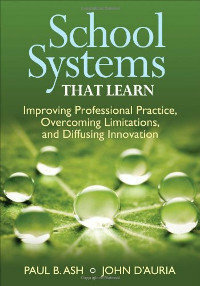 School Systems That Learn shows how professional development in a K-12 district can create synergy between educators and students that results in growth and achievement for all!